The past year was a year of death. It started with the spring and summer losses of two pets I'd had nearly fifteen years. Later in the summer, my father began his final decline before passing away from cancer towards the end of the year. A lot fell onto my shoulders during this time, including making arrangements for my mother (who has severe schizophrenia) to be moved to a safe environment, planning for her trust, and helping my father with bills and setting up in-home care as his strength rapidly faded. He was a very independent person who kept so much to himself, almost until it was too late. We got lucky in many ways. A lot of things that could have gone worse did not. Nonetheless, the previous year was a nightmare, an ordeal. All too often, I felt like my body, mind, and heart were being broken open against a shore made of sharp and unforgiving granite. Still, there was also light from time to time. Forseti was more present than I'd have thought possible, especially in my father's last few days. Strange things can happen in hospice during the phenomena called "nearing death awareness." 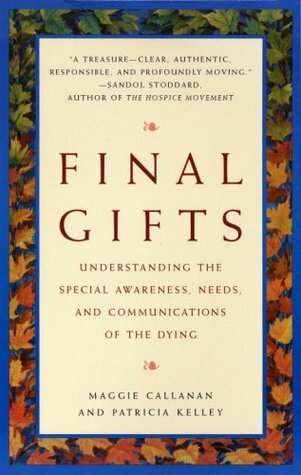 I very much recommend the book "Final Gifts: Understanding the Special Awareness, Needs, and Communications of the Dying." Actually, I cannot recommend this book enough. More than ever, I know our Gods to be real Gods. They care for us and are active in the present. While I have given thought to sharing what might be called my "Heathen hospice experience," I also find that much goes beyond mere words. My instinct is to hold these experiences close. So far, I have shared my more detailed written account with a few close friends and have been content to leave it at that. I am now even less interested in religious labels than I ever was before. I worship Forseti. He is my God and my compass. The rest, all the human boxes, do not matter in the slightest. He was there in the dark, shining as the sun. I am very sorry for the loss of your father, I pray for his eternal rest. Thank you for the kind sentiment. I very much appreciate it. Your blog looks quite intriguing, by the way. Thank you!, I haven't posted in a long time and I am deciding whether or not I will make a renewed effort to start posting again soon.